Editor’s note: Nawaf Obaid is a fellow at the Belfer Center for Science and International Affairs at the Harvard Kennedy School, a senior fellow at the King Faisal Center for Research and Islamic Studies, and author of A Saudi Arabian Defense Doctrine. The views expressed are his own. Editor’s note: GPS asked Jane Harman, director, president and chief executive officer of the Woodrow Wilson International Center for Scholars, for her take on Russia’s annexation of Crimea and how the United States and Europe should respond. The views expressed are her own. Many of us have said for years that terrorists have attacked us asymmetrically, where we are weakest. We've also said that they only have to be right once, whereas we have be right 100 percent of the time. Well, apply that to Ukraine. Putin found Ukraine’s weakest point and exploited it. 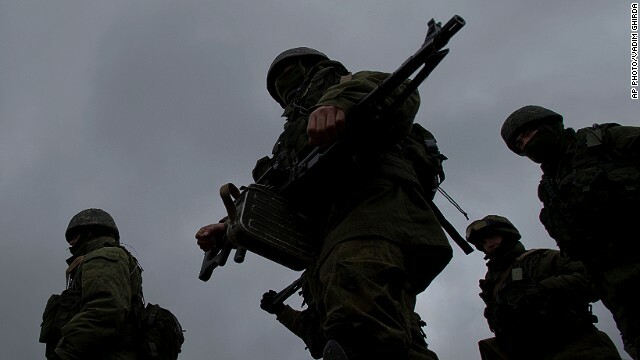 Russia inserted a trained covert force in Crimea quickly against Ukraine’s small military force and ineffective government. The Russians were strong, the Ukrainians were weak. The response of the West should be to use our own comparative strength against Russia’s weakness. We have a strong economy and a robust energy future. Their economy is riddled with corruption and depends on Russia being a gas station to Europe and elsewhere. 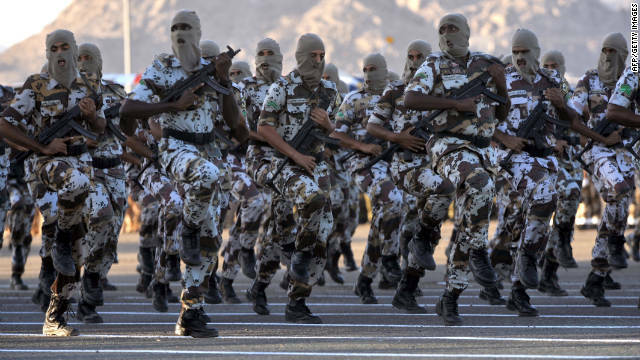 Is Iran set to lash out at Saudi Arabia? Editor’s note: David Schenker is director of the Program on Arab Politics at the Washington Institute for Near East Policy. The views expressed are his own. 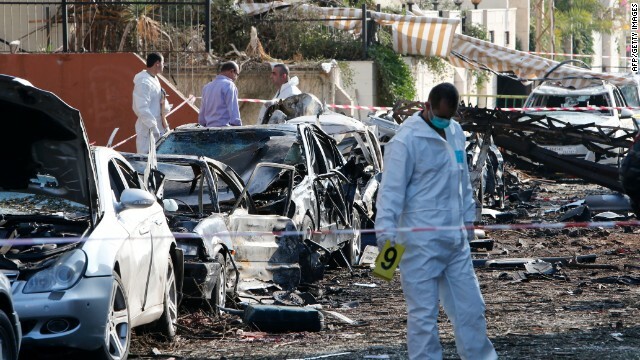 The November 19 double-suicide bombings of the Iranian embassy in Beirut may have looked shocking in the headlines – they killed 23 people. But they also should not have come as a surprise. Since 2011, Tehran has earned its karma in Lebanon. The attack, whose victims included an Iranian diplomat, was likely payback for the Shiite theocracy’s unwavering support for the Bashar al-Assad regime’s brutal repression of the largely Sunni uprising in Syria. Aided by Iranian troops, weapons and its Lebanese Shiite proxy militia Hezbollah, over the past three years, al-Assad's government has killed nearly 130,000 mostly Sunni Syrians. The real question is what comes now – and I expect a surge in regional violence. Paradoxically, the international “first step” nuclear agreement with Iran increases rather than diminishes the chances that the Shiite theocracy in Tehran will take steps that exacerbate the regional sectarian conflict. Despite frustrations, Saudis unlikely to break with U.S.
Editor’s note: Becca Wasser is a research analyst at the International Institute for Strategic Studies. You can follow her @IISSBecca. The views expressed are her own. Saudi Arabia’s careful silence in the immediate aftermath of the deal struck with Iran on its nuclear program at the weekend should have come as no surprise. From disagreements over how to handle Syria and Egypt, to its rejection of a non-permanent seat on the U.N. Security Council, the Kingdom has been clear about its displeasure with Washington’s strategy in the Middle East. The current head of Saudi intelligence, Prince Bandar Bin Sultan al-Saud, met recently with European diplomats in Riyadh to notify them of a “major shift” in U.S.-Saudi relations, while former Saudi Intelligence Chief Prince Turki has for his part given several interviews suggesting that the Gulf States will become more independent. Saudi Arabia’s public displeasure is largely a reaction to the U.S.-Iranian rapprochement, perceived U.S. inaction over the Syrian and Israeli-Palestinian conflicts, differences over Egypt’s future, and a lack of support for Saudi Arabia’s domestic and foreign policies. The U.S.-Iran rapprochement in particular has shaken Saudi trust in the United States, and Saudi Arabia is not alone among the Gulf States in fearing that warming of U.S.-Iran ties risk coming at the expense of their own relationship. And while Saudi Arabia has been publicly quiet over the Iran deal, a senior advisor to the Saudi royal family has reportedly said the Kingdom is willing to steer a more proactive foreign policy course in future. Editor’s note: Nawaf Obaid is a fellow at the Belfer Center for Science and International Affairs at Harvard University’s Kennedy School of Government and a senior fellow at the King Faisal Center for Research and Islamic Studies. The views expressed are the writer’s own. Recent discussion in the wake of Saudi Arabia's refusal to accept a nonpermanent seat on the U.N. Security Council has prompted bewilderment – and renewed questions about the Kingdom’s foreign policy. Yet accusations of irresponsibility are inaccurate and misleading. Indeed, despite the criticisms leveled by commentators including Fareed Zakaria on these very pages, the fundamentals of Saudi foreign policy have not changed in decades, and are based on consistent and clear foundations. As the “senior player” in the Arab world, as the Kingdom was recently described by U.S. Secretary of State John Kerry, Saudi Arabia works to promote economic stability and political security via a moderating energy policy and careful strategic posture that is aimed at countering and neutralizing the upheaval that has been tearing the Muslim and Arab worlds apart. This approach has been on display in recent Saudi actions. Editor’s note: Ellen Laipson is president and CEO of the Stimson Center, a nonprofit and nonpartisan international security think tank. The views expressed are her own. The Saudi foreign minister tried to tamp down talk of a major rift, based on recent pronouncements by senior Saudi officials that conveyed a deep frustration in Riyadh about international cooperation on the key issues facing the Middle East: the Syrian crisis, the Palestine question and Iran’s nuclear ambitions. The Saudis have staked out positions on each issue that do not align with major world capitals, highlighting the limits of the kingdom’s efforts to shape the regional environment and project Saudi power and influence. And, as the kingdom expands its global role and seeks recognition as a more independent actor, its reliance on the United States is understandably under stress. The Saudi regime fears that any kind of empowerment of the Shi'ites - anywhere - could embolden the 15 percent of Saudi Arabia's population that is Shi'ite - and happens to live in the part of the country where most of its oil reserves can be found. That's why the Saudis sent troops into neighboring Bahrain in the Arab Spring of 2011, to crush the Shi'ite majority's uprising. Saudi royals have been rattled by the events in their region and beyond. They sense that the discontent that launched the Arab Spring is not entirely absent in their own population. They fear the rehabilitation of Iran. 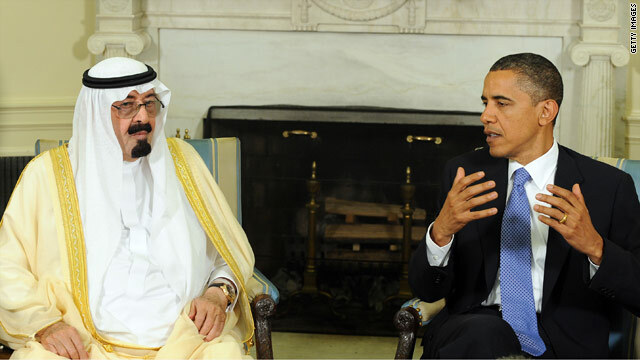 They also know that the United States might very soon find itself independent of Middle Eastern oil. Given these trends, it is possible that Saudi Arabia worries that a seat on the U.N. Security Council might constrain it from having maximum freedom of action. Or that this position could shine a light on some of its more unorthodox activities. Or that it could force Riyadh to vote on issues it would rather punt on or ignore. It is also possible that the Saudis acted in a sudden fit of pique. After all, they had spent years lobbying for the seat. Whatever the reason, let's concede that, yes, Saudi Arabia is angry with the U.S. But are we sure that's a sign Washington is doing something wrong? The Saudis are mad? Tough! If there were a prize for Most Irresponsible Foreign Policy it would surely be awarded to Saudi Arabia. It is the nation most responsible for the rise of Islamic radicalism and militancy around the world. Over the past four decades, the kingdom's immense oil wealth has been used to underwrite the export of an extreme, intolerant and violent version of Islam preached by its Wahhabi clerics. Go anywhere in the world–from Germany to Indonesia–and you'll find Islamic centers flush with Saudi money, spouting intolerance and hate. In 2007, Stuart Levey, then a top Treasury official, told ABC News, "If I could snap my fingers and cut off the funding from one country, it would be Saudi Arabia." When confronted with the evidence, Saudi officials often claim these funds flow from private individuals and foundations and the government has no control over them. But many of the foundations were set up by the government or key members of the royal family, and none could operate in defiance of national policy; the country is an absolute monarchy. In a December 2009 cable, leaked by WikiLeaks in 2010, then Secretary of State Hillary Clinton confirmed that Saudi Arabia remained a "critical financial base" for terrorism and that Riyadh "has taken only limited action" to stop the flow of funds to the Taliban and other such groups. Editor’s note: David Andrew Weinberg is a senior fellow at the Foundation for Defense of Democracies. He previously served as a Democratic professional staff member covering Middle East issues at the House Committee on Foreign Affairs. The views expressed are his own. When Secretary of State John Kerry met with his Saudi counterpart Prince Saud al-Faisal in Paris this week, he likely got an earful of complaints over Syria. There was no public news conference after their meeting, which makes sense given that the Saudis often prefer that their sensitive consultations with the United States remain hidden behind closed doors. However, Kerry’s announcement earlier in the day of a conference to boost the Syrian opposition was probably intended in part as a sop to the Saudis. Barely one week earlier, Kerry came out of another meeting with Saud al-Faisal trumpeting that the United States had Saudi Arabia’s support for military action against Syria. This was an understatement. Riyadh was downright aggressive in its push for an American-led intervention after the alleged August 21 chemical weapons attack that U.S. officials say killed more than 1,400 people in Ghouta, Syria. The Saudis badly wanted to see a strike on Syria, and they have grown frustrated with America’s fitful diplomacy since then. Recently, they have seemed less willing than usual to submerge their disagreements with Washington from public view. And there is undoubtedly a real sense of urgency to their efforts.